Tillandsia ‘Agua Blanca’ by Derek Butcher. Renate does not believe it is a hybrid. There were no T. ionantha, only some T. magnusiana in the vicinity. She had already collected what she considered the hybrid T. ionantha x T. magnusiana near Maria Ecatepec in 1989. It looks different. 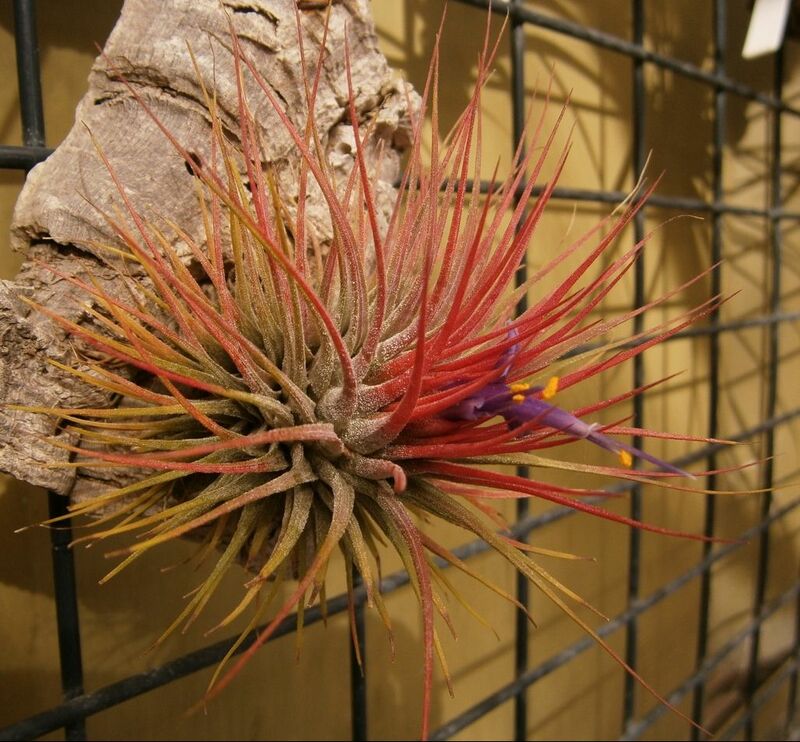 There is also the hybrid made by Pam Koide of ionantha var. stricta x magnusiana called ‘Magic Blush’ where we know the seed parent was the ionantha. This seems different too! The plants from Agua Blanca are variable, there are some of them that look more like T. ionantha and others with more spreading and finer leaves like T. magnusiana. But they all flower the same as T. ionantha. The same type of plants were found near the road to Maria Ecatepec (Oaxaca). It is a pity that at the location there are very few plants left. The last time Renate visited there were many remnants of dead plants. The variability can be explained by backcrossing but the puzzle remains. In the meantime these plants will be named ‘Agua Blanca’.